Wow, my standards for a wedding are set pretty high after going to this one. As you can see from the above photos, the wedding of a family friend's daughter I attended last night was beautiful. The reception was held at the father of the bride's resort, the Kalahari Resort, which is located in Wisconsin Dells and is home of the world's largest indoor waterpark. Good news! I bought my first pair of Tom's for the occasion of the wedding. Good excuse, right? I decided to go with the black corduroy wedges which took a little breaking in but are so comfortable now. The whole idea of Tom's shoes are awesome too.. Check out the movement if you're unfamiliar with it: One for One. The dress I bought at the same store as the Toms at a store called Shoo located on State street in Madison, WI. It's a vintage little dress and wasn't a bad price either ($25). Also, to make the dress flow a little better with the black wedges I tied a satin ribbon around it. The bag is featured in my last post. P.S. 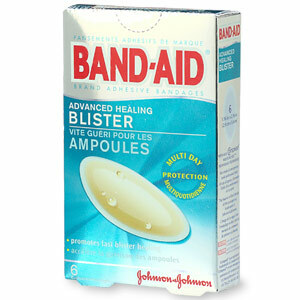 These things are god when it comes to tackling painful, blister making shoes that have yet to be broken in.